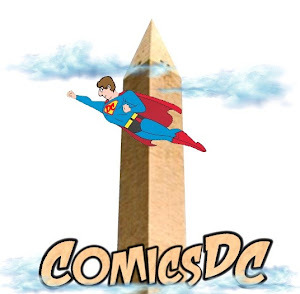 Next month, I'll be moderating a Nerds in NoMa panel on March 12th on "Comic Converts: The World of Comic Illustrators in D.C.” One of the attendees will be Shannon Gallant, a local comic book artist whom I've interviewed several times. He recently finished his work for the miniseries G.I. JOE: A Real American Hero vs. the Six Million Dollar Man. 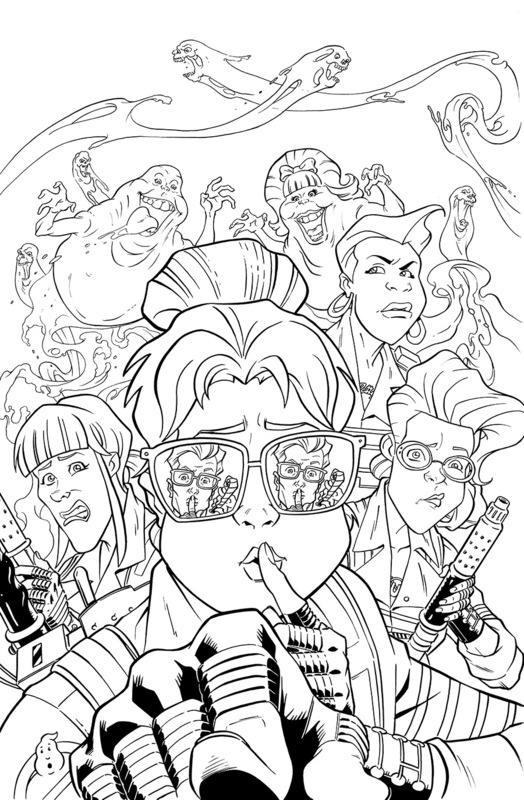 I’m contributing strips to Beano (the UK kids magazine), I’ve got an issue of Ghostbusters coming out in April as part of the anniversary celebration of the franchise, and I’m doing a fill in issue for GI Joe:Real American Hero. You're known for your work on GI Joe in America, with a long run drawing it for IDW. How did you begin working on a traditional British comic? 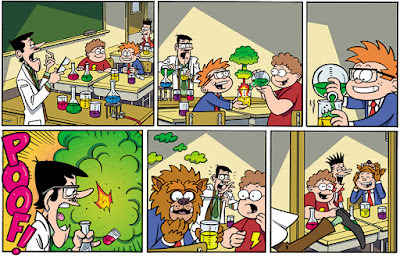 Ned Hartley, who used to be an editor at Titan Comics (where I drew Shrek, and Torchwood) is a contributing writer for BananaMan in Beano; some might know the cartoon that aired on Nickelodeon alongside Danger Mouse. He recommended me, and after some audition pages, I’m getting to fill in for a few artists on maternity leave. As a friend said to me, let’s hope the regular artists continue to expand their families! Any idea how people can buy it in the States? 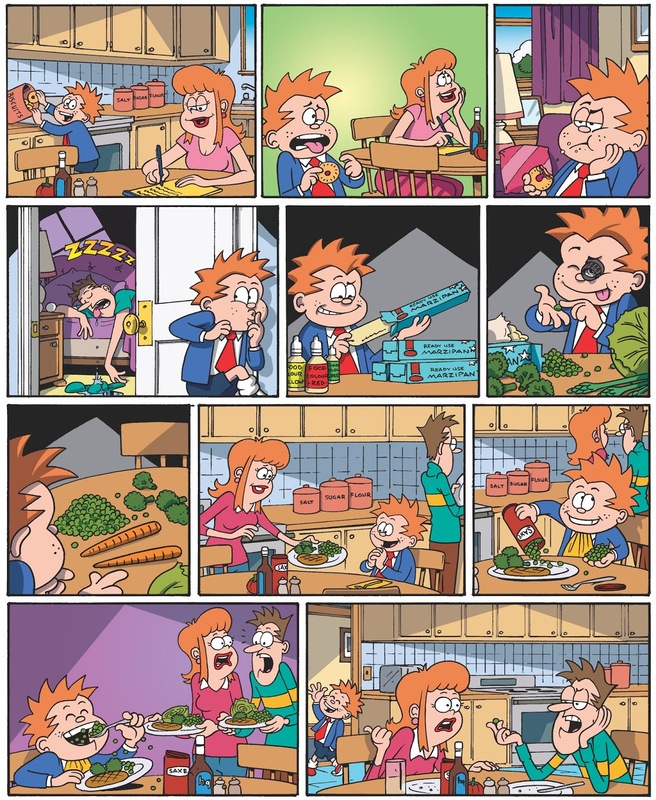 The easiest way I know that someone can get Beano is digitally through their app. Otherwise, it would be a hunt for a store that specializes in British imports, or a comic shop that does the leg work. I barely have any because the company doesn’t send copies. I’ve had friends who were traveling, or have relatives, smuggle... I mean, bring some over. Weird thing is, it’s the highest circulation comic I’m involved with. Last issue apparently almost hit 50K. 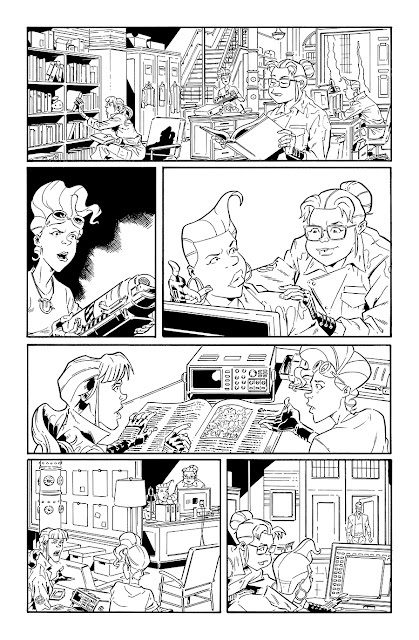 Here are some scenes from the Ghostbusters comic dropping in April. 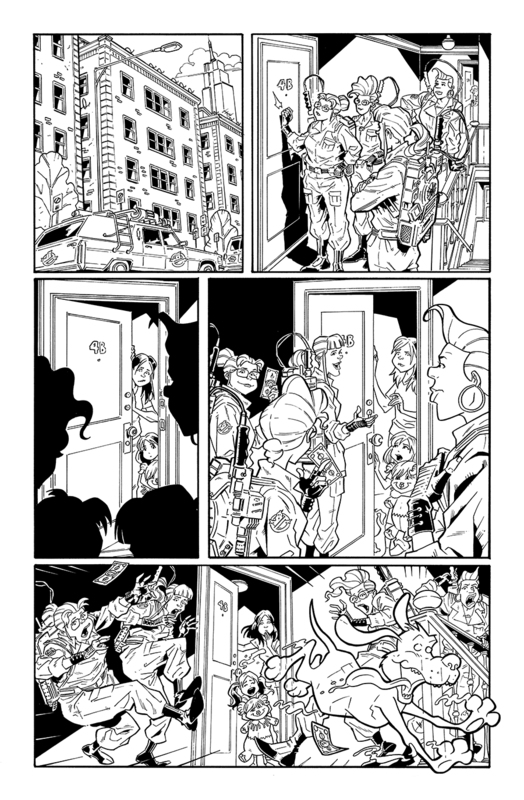 This was fun, because I got to ink it all myself, both cover and interiors. 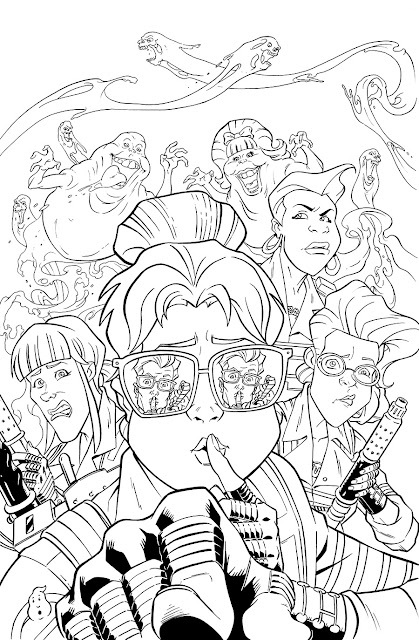 My upcoming GI Joe work will have an inker on my pencils. Which GI Joe title are you on? It’s the classic title “Real American Hero”, but I'm not sure of the number that I restart on. Now that high school is over, Ari is dying to move to the big city with his ultra-hip band, if he can just convince his dad to let him quit their struggling family bakery. Though he loved working there as a kid, Ari cannot fathom a life wasting away his days over rising doughs and hot ovens. But in the midst of interviewing candidates for his replacement, Ari meets Hector, an easy-going guy who loves baking as much as Ari wants to escape it. As they become closer over batches of breads, love begins to bloom . . . that is, if Ari doesn’t ruin everything. Children are welcome at this event! Join us for a Parent Happy Hour while hearing from New York Times–bestselling author Lucy Knisley, who writes about fertility, pregnancy, and motherhood in this emotionally compelling and thought-provoking graphic memoir. Lucy will be offering portraits of guests and/or their kids. We will also have activities for kids to keep them busy! If you work hard enough, if you want it enough, if you're smart and talented and “good enough,” you can do anything. Except get pregnant. Her whole life, Lucy Knisley wanted to be a mother. But when it was finally the perfect time, conceiving turned out to be harder than anything she’d ever attempted. Fertility problems were followed by miscarriages, and her eventual successful pregnancy was plagued by health issues, up to a dramatic, near-death experience in labor and delivery. Kid Gloves follows Lucy’s personal transition into motherhood, and it also illustrates the history and science of reproductive health from all angles, full of curious facts and inspiring (and notorious) figures in medicine and midwifery. Jerry Craft will be signing his new book, New Kid, from HarperCollins at Politics & Prose (5015 Connecticut Ave NW, Washington, DC 20008) on February 7th at 10:30am. 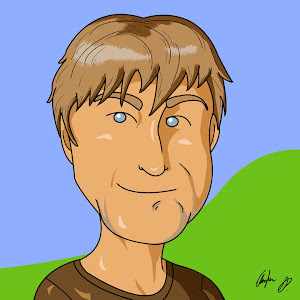 Jerry Craft is an author and illustrator who has worked on numerous picture books, graphic novels, and middle grade novels. His middle grade graphic novel, New Kid, will be released by HarperCollins on February 5, 2019. Jerry has earned recognition from the Junior Library Guild, and has won five African American Literary Awards. He is the creator of Mama's Boyz, an award-winning comic strip that was distributed by King Features Syndicate from 1995 - 2013. He is a co-founder and co-producer of the Schomburg’s Annual Black Comic Book Festival which has drawn close to 40,000 fans since its inception in 2013. Jerry was born in Harlem and grew up in nearby Washington Heights. He is a graduate of The Fieldston School and received his B.F.A. from the School of Visual Arts. Jan 27: Fairfax! VA COMICON at GMU Jan 27, 2019! The VA Comicon hosts a 1-day show in Fairfax, VA Sunday Jan 27! Held in the Dewberry Hall in the Johnson Center at George Mason University. Get in for FREE after 1p with a GMU ID (register online)! We only accept cards for on-site ticket sales. $3 per-ticket convenience fee added for all paid ticket sales (including on-site). 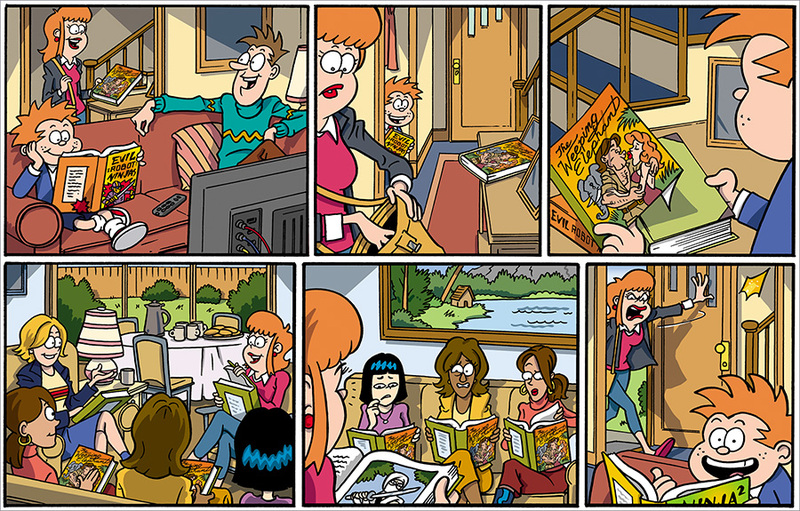 Do you like comic books? video games? table games? beer!?!!? On Saturday January 19th, Crooked Run will be teaming up with Huzzah Hobbies, Games & Comics Pair O'Dice , and Eye of the Heart to throw one of the biggest events of the year and embrace our inner “Nerd”! Super Smash Bros Ultimate and Magic the Gathering tournaments, retro gaming vendors, speed run challenges, a comic book focused lounge and much much more! Brings funds for event entry the day of the event. **Update to MTG - Tournament will be Standard AND there will be space for casual/kitchen magic! $10 for tournament, $5 for casual play, BOTH get you a pack of the NEW set! PRIZE: $100 in gift cards, winners badge courtesy of Uncle Goggles Emporium, 5 card packs, and more from our sponsors! Smash Bros Tournament - Starts @ 7pm SINGLES TOURNAMENT ONLY Game - Smash Bros Ultimate for Switch Controller - Gamecube Controller (will be provided but can bring own) Stock - 3 Time - 5 mins Single elimination ~ Final is best of 3 NO ITEMS - NO ASSIST TROPHIES REGISTRATION - $10 PRIZE: $100 in gift cards, Google Home mini, trophy courtesy of Uncle Goggles Emporium, and other prizes from our sponsors! KAPOW! 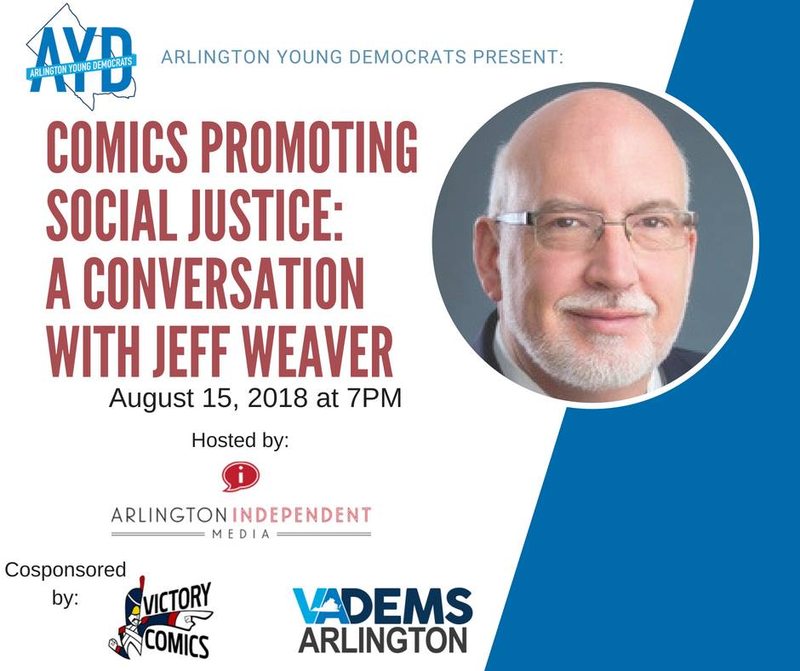 Join the Arlington Young Democrats Arts, Culture, and Entertainment Caucus for a robust discussion of how comics and graphic novels are one of the strongest mediums for promoting social justice. 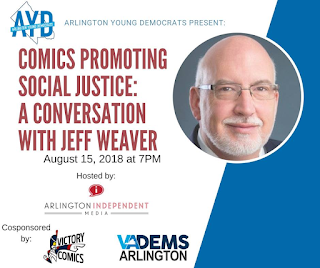 Featuring Jeff Weaver, Owner of Victory Comics and the campaign manager for Senator Bernie Sanders’ 2016 Presidential bid, this conversation will focus on how the medium of graphic novels lends itself to discussing cutting edge issues in our society in a manner that evokes empathy and understanding, connecting diverse communities through the art. This event will be filmed in partnership with Arlington Independent Media. Please submit questions in advance to ensure that this conversation remains within the time constraints for the filming. The Library of Congress' National Book Festival is free and at the Convention Center. It appears that the above is the biggest chunk of time to see cartoonists, all on the 'genre' stage. Corrections and additions are welcomed. Pénélope Bagieu was born in Paris in 1982 to Corsican and Basque parents. She is a best-selling graphic novel author, and her editorial illustrations have appeared all over the French media. In America, her graphic novels include "Exquisite Corpse," "California Dreamin'" and, most recently, "Brazen: Rebel Ladies Who Rocked the World" (First Second). She blogs, plays drums in a rock band and watches lots of nature shows. Bagieu is also the creator of the animated film "No More Laughter," and she has done work on many advertising campaigns. Harry Bliss is a cartoonist and cover artist for The New Yorker. He has illustrated many picture books, including the No. 1 New York Times best-selling series by Doreen Cronin that began with "Diary of a Worm," and he has both written and illustrated several picture books, including "Grace for Gus" and "Luke on the Loose." Harry Bliss lives in New Hampshire. His new book is "Good Rosie!" (Candlewick), written by Kate DiCamillo. Brad Meltzer is the No. 1 New York Times best-selling author of "The Inner Circle," "The Book of Fate" and nine other best-selling thrillers, including "The Tenth Justice," "The First Counsel," "The Millionaires" and "The President's Shadow." His newest book is "The Escape Artist" (Grand Central). In addition to his fiction, Meltzer has been on the best-seller lists with the nonfiction "History Decoded," children's books such as "Heroes for My Son" and "Heroes for My Daughter," and for comic books such as "Justice League of America." Ed Piskor is the writer and artist behind "X-Men: Grand Design" (Marvel). This deeply personal and heavily researched reimagining of the origins of the world famous X-Men incorporates the past 40 years of the title's history and has been met with critical acclaim from all corners of the comics world. Piskor is also the creator behind "Hip Hop Family Tree," the New York Times best-selling series that won the 2015 Eisner Award for best reality-based work. Piskor's other published works include "Wizzywig" and, in collaboration with Harvey Pekar, "American Splendor" and "The Beats: A Graphic History." 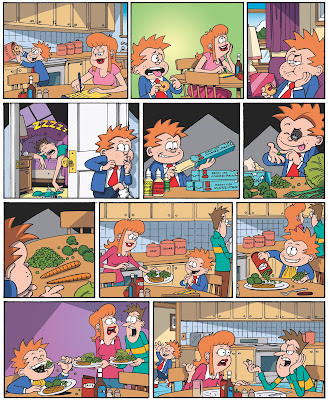 Ed teaches classes on comics and lives in Pennsylvania. Tillie Walden is a cartoonist and illustrator from Ausin, Texas. She is a graduate of the Center for Cartoon Studies and is a two-time Eisner nominee and Ignatz Award winner. She is the author of the graphic novels "Spinning" (First Second) and "On a Sunbeam." "Spinning" is about Walden's years as a competitive figure skater. She lives in Los Angeles. December 7: Lecture: "An Introduction to French Comics"
Lecture: "An Introduction to French Comics"
A high-level introduction into how a closely neighboring culture views the humble comic book in a completely different way.About the Speaker: RM Rhodes has a day job and lives in Arlington, but he would prefer to be known as a comics creator and historian. He has written articles and reviews for sites like Forces of Geek, Need Coffee, The Hooded Utilitarian, and Comics Workbook. He is learning French so he can read his French comics and enjoys talking about himself in the third person. $5, Doors at 6:30 p.m., lecture at 7 p.m., followed by a wine and dessert reception. Hooray for Books! is thrilled to host rock-star author Jason Reynolds for the first time ever! Jason will present and sign his new book, Miles Morales: Spider-Man. 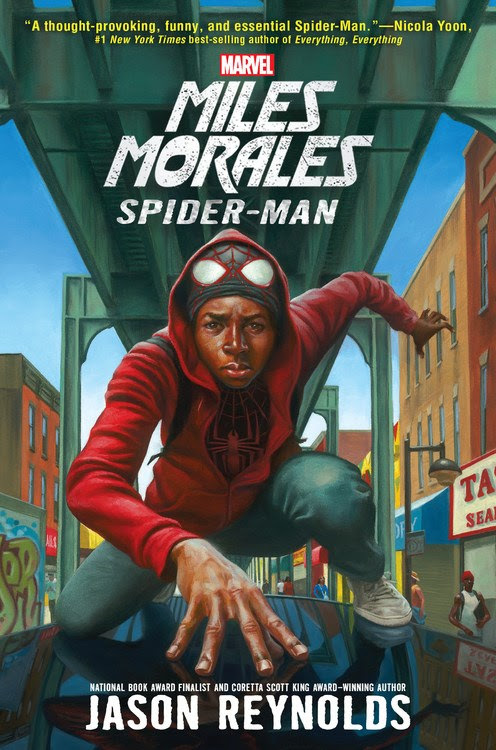 In this novel for ages 12+, Brooklyn Visions Academy student Miles Morales may not want to be a superhero, but he must come to terms with his identity as the new Spider Man and deal with a villainous teacher. 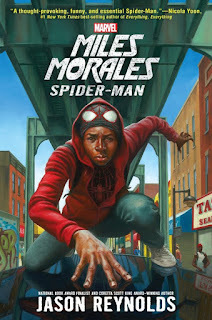 In addition to Miles Morales, we have special permission from the publisher of Ghost and All American Boys to sell the paperback editions before their respective official publication dates of August 29 and 30. Can't make it to this event but want a signed and personalized copy? Just place your order by Tuesday, August 1. To order, call 703-548-4092 or email order@hooray4books.com. For much of comics history, women characters were introduced as plot devices for the leading male characters with disheartening regularity. Join us for a conversation about the new wave of superheroines entering the comic universe, leading the fight for justice and dispelling traditional stereotypes in fiction and beyond. Ashley Woods, illustrator, graphic novelist, and artist for the Stranger Comics series, NIOBE: She is Life. Moderated by Emily Whitten, ComicMix.com writer and Awesome Con moderator, based in Washington, D.C.
Sign up now for your Friend Discount Rate of $15! Discount tickets are limited. (Regular price: $25 general; $20 members, seniors, students). Price includes museum admission and Catalyst cocktail hour. Galleries open to attendees from 3 p.m - 6:45 p.m. Museum store will have speaker's books and comics for sale before and after the program. Gordon will be tabling at Bmore Into Comics next Saturday, February 18. That's Bmore as in Baltimore. It's casual. It's intimate. It's free. Come on by. And in case you forgot, his four-part mini-comic series is now complete. Next step: Trade Paperback. Here's a glimpse into the final chapter of The Secret Origin of the Dust Elves. Do you like to draw? Do you want to be a cartoonist? heroes and people right from the audience! Who will he draw next? Cons. His cartoons appear in publications and online. Japan-related events in the Washington DC area? Check out our upcoming area events page, updated three times a week, for a list of the latest events in the region. 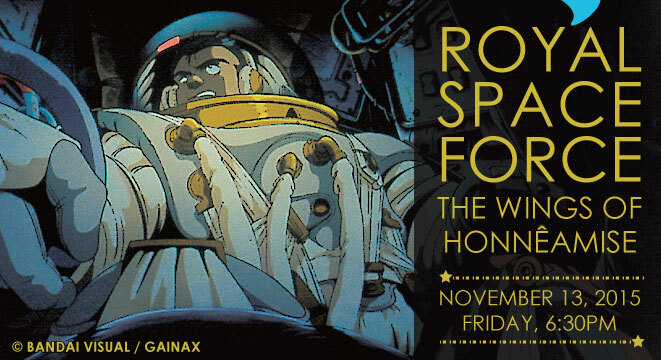 Come join us for the film that launched the careers of dozens of Japan's animation superstars - including Hideaki Anno (Neon Genesis Evangelion) and Yoshiyuki Sadamoto (Neon Genesis Evangelion, Summer Wars, Wolf Children) - and put Studio Gainax on the map as one of Japan's premiere production houses. This film is unrated and contains some scenes of violence and sexual situations. Viewer discretion is advised. Doors open at 6:00PM and will close once seating is full or promptly at 7:00PM for security purposes. Registered guests will be seated on a first come, first served basis. Please note that seating is limited and registration does not guarantee guests a seat. 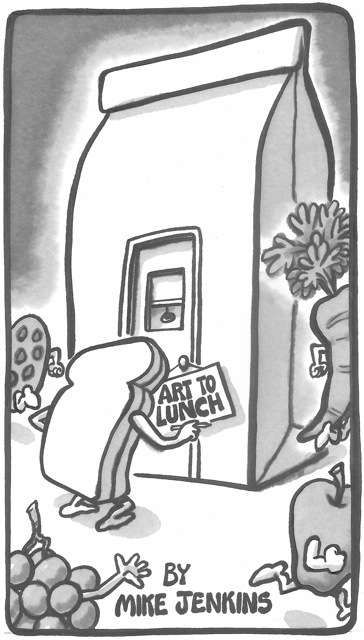 Mike Jenkins' LunchBagArt is on display at Studio Pause during the month of October. Please join us for a reception on Oct 20 6-8pm where Mike will talk about his inspriration, his daily method, and answer questions. Studio Pause owner Sush Mazumdar creates beautifully handmade books, so the much awaited LunchBag Art Books will also be for sale! 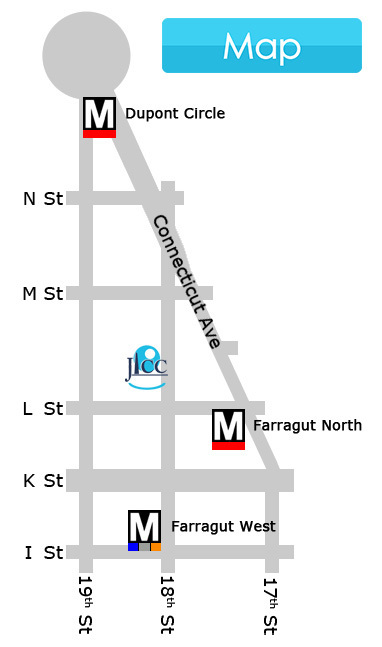 Studio Pause is at 2421 26th Rd South, Arlington, VA, just east of S. Glebe Rd. Not lots of parking, so plan on extra time to find a spot. Art to Lunch: Thinking Outside the Bag with Cartoonist Mike Jenkins After a 25 year career as an Editorial Cartoonist, Mike Jenkins left the newspaper business but is still recovering (though he occasionally falls off the wagon). He lives in Arlington, Virginia with his wife Tish and daughter Maggy and works primarily as a caricaturist. He started his company Capital Artworks to provide caricaturists for events around the DC area as well as custom artwork for corporate, government and private clients. When his two older children left for college, he started doodling on Maggy’s school lunch bags. When she mentioned one night during dinner that all the kids in cafeteria would run to see her lunch bag every day, they knew they were onto something. Mike’s wife posted the next bag on Facebook, and they were stunned by the positive reaction. That’s when Mike knew the pressure was on, and he was back to facing a daily deadline! PLUS! Art to Lunch: Thinking Outside the Bag, a Handmade Storybook with 17 of Mike’s Lunch Bag art which will be available for sale at the reception. at noon about his new, "328 page graphic novel called Ruins that follows a fictional couple on sabbatical in Mexico and in tandem the migration of the Monarch butterfly." Friday, May 22, 2015 at 7 p.m.
Fetter-Vorm, author and illustrator of Trinity: A Graphic History of the First Atomic Bomb, chosen by the ALA as 2013’s best graphic novel for teens, and Kelman, professor of the Civil War era at Penn State and author of A Misplaced Massacre, have teamed up for a unique and illuminating view of the War Between the States. Using Fetter-Vorm’s full-color panoramas and Kelman’s concise, penetrating commentaries, each chapter begins with an ordinary object—a pen, a flag, a set of manacles—which then gains extraordinary meaning for its wartime role. Monday, May 18, 7:30 p.m.
Join us on Monday, May 18 at 7:30 p.m. when artist Jorge Aguirre presents his newest graphic novel for kids, "Dragons Beware!" The book, aimed at ages 7-12, is a sequel to the popular "Giants Beware!" Politics & Prose will be selling copies of Aguirre's books, but the program is free and no purchase is required to attend. Wednesday, May 13, 7 p.m. 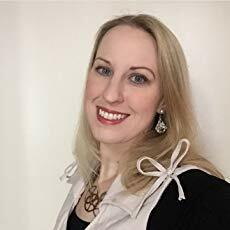 Author Michelle Knudsen and illustrator Matt Phelan will read and discuss their new picture book, "Marilyn's Monster," on Wednesday, May 13, at 7 p.m. In the book, aimed at ages 3-7, Knudsen and Phelan tell the story of a little girl who grows impatient at being the only kid without a monster and goes off in search of one to call her own. Politics & Prose will sell copies of the book, but the event is free and no purchase is required to attend. Phelan's done some all-ages graphic novels which I recommend highly. Wednesday, April 29, 10:30 a.m.
Thursday, Apr. 30, 7:30 p.m.
Graphic novelist Jay Hosler will present his newest book, "Last of the Sandwalkers," on Thursday, April 30 at 7:30 p.m. Hosler, who teaches biology at Juniata College in Pennsylvania, is known for his unique blend of science and comics. Politics & Prose will be selling copies of Hosler's books, but the program is free and no purchase is required to attend. The Post on Disney's new streaming service.